I have always enjoyed a good wives tale.. whether they are true or not, I still find them interesting & if anything entertaining. 6) Girls are ALWAYS Right….. & Boys are Not.. Correct me if I’m wrong… but by the looks of things we are made the way we are made before we ever enter this beautiful world. So Guys can’t blame us for our moody days… just like we can’t blame them for the headaches they give us. Anyone have any fun wives tales they enjoy or have tried? 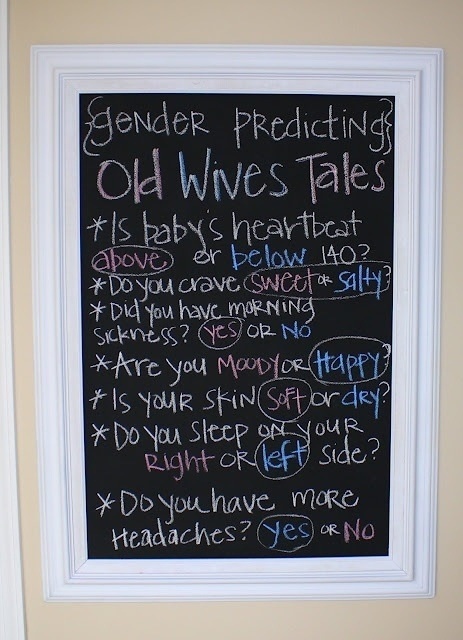 Has this gender predicting worked for you!?! ?